Howard Rutter, a specialist in family business disputes provides his thoughts as to why relationships break down and result in disputes. 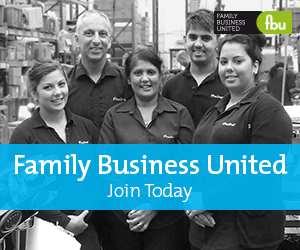 Family owned businesses are the backbone of the British economy and the issues facing them can be complex. Add to the mix the breakdown of relationships within the family, and the inevitable tensions and disputes that are likely to occur, can sometimes have a detrimental effect on the business. Many successful entrepreneurs believe that the best way to ensure that the family business survives is to pass on succession to their offspring. Before inviting family members into the business they should be honest with each other. Many children do not want to enter the family business but succumb to family pressure. Alternatively some see it as an easy option. How will your children acquire the appropriate skill-sets, expertise and training to succeed their parents? All children have different skill-sets, work ethics, and expectations. Failure to find positions for family members with differing abilities and contributions can lead to resentment and the argument that he/she is not working as hard as me! The death of the founding member can lead to tension and result in disputes. This is often hidden whilst the founder is alive but upon his/her death can result in a potential for disputes. Most parents want to treat their children equally but that might not be appropriate in a business in circumstances where family members make differing skill-sets and contributions. Johnny marries Jane. After a couple of years Jane starts to complain that dad is only working 3 days a week but taking £X,000. Johnny is doing all the work. Jane will often not have seen the investment sacrifices made by Johnny's parent over the years. Once again this can lead to resentment. My director’s hat? My shareholder’s hat? Or my employee hat? Directors manage the company and are responsible for its success or failure. Shareholders own the business and hold the directors to account. Employees work in the business. The failure to understand who is wearing which hat when decisions are taken can lead to disputes. Be honest with each other. How will it work? What has to be done to make it work? Will it ever work? Don’t just give shares to family members without considering how and in what circumstances it may be necessary to seek their return. Shares once given generally cannot be taken away. Don’t be led solely by tax considerations. Ensure that the remuneration package reflects market rates and contributions made. Take proper advice, consider a shareholders agreement. No matter how well you try to protect the family, disputes will still occur. Finally, if you find yourself at breaking point, seek advice. About the Author - Howard Rutter is a partner at Lupton Fawcett. Their specialist family business team has been advising family business across the generations for over 120 years. To discuss any issues in relation to this article, please get in touch with Howard Rutter by calling 0113 280 2074 or email howard.rutter@luptonfawcett.law. Please note this information is provided by way of example and may not be complete and is certainly not intended to constitute legal advice. You should take bespoke advice for your circumstances.